To provide the right counterpart to your pintle hitch of choice a strong, heavy-duty eye is needed. 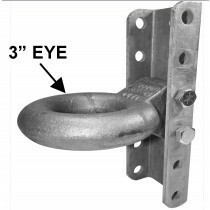 We stock bolt on designs and assemblies containing the eye, a 4 or 6 hole channel so adjusting the eye is simple, and the bolts needed mount the eye to the channel. 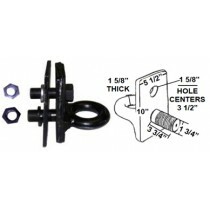 This assembly provides a sturdy connection point for a pintle hook hitch. 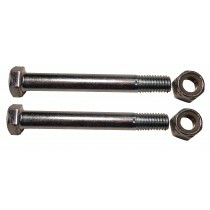 Replacement grade 8 bolts are also available for purchase. 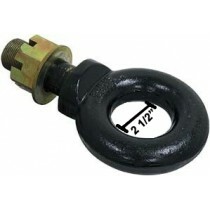 Buyer's Products 15,000 lbs Pintle Eye Trailer Coupler 2.5 in. I.D. 3" Adjustable Lunette Eye Assembly - 4-Hole Channel - 20,000 lbs. 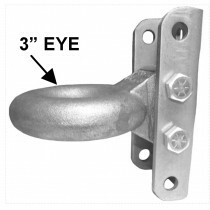 Pintle Eye - 3" I.D. 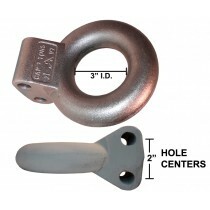 3" Adjustable Lunette Eye Assembly - 6-Hole Channel - 20,000 lbs. 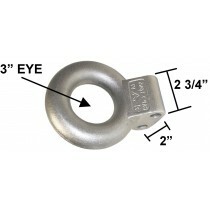 Lunette Eye for Adjustable Channel - 3" I.D. 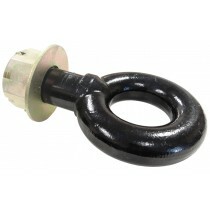 - 20,000 lbs. 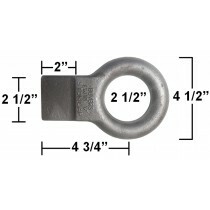 3" I.D. 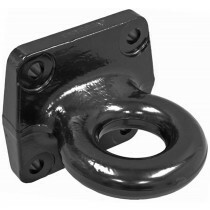 Forged Steel Lunette Ring with Nut 45,000 lbs.